I was shocked to learn yesterday that Switzerland didn't grant votes to women until 1971. Other European foot-draggers like France granted this right at the end of the second world war, making Switzerland over 25 years later than its cultural counterparts. On doing a little research, it seems that the commonly accepted explanation is a peculiarity of Switzerland's statute book. Changes to the constitution can only be ratified via a referendum of existing voters. These were of course men: so it took until 1971 to persuade a majority of male Swiss voters to grant women the vote. I feel uneasy about this explanation for two reasons. Firstly, although the referendum requirement is unusual, voting rights for women must obviously have been passed via all-male governments in all the other states which implemented it decades before the Swiss. Second, one would assume that voting rights for women were an uncontentious issue elsewhere in Western Europe well before the 1970's. If so, that still seems an unusually long time for the Swiss to copy the commonly accepted societal norms of their cultural peers. So: were there any deeper reasons as to why it took so long for Switzerland to implement women's suffrage? In Switzerland, it had to pass a popular referendum. (Switzerland also joined the UN and legalized abortion only in 2002 — both decisions that were passed through referendum.) Similarly in Liechtenstein, 1984, where the 4th referendum in 16 years only narrowly passed despite support from newspapers and both major political parties. And in France for example, the Committee for National Liberation simply gave women the right to vote in 1944. Were it by referendum, it would probably have taken years more before French women had the right to vote (though perhaps not as late as 1971). One might then ask, "Why are (male) legislators more inclined than the general male population to give women the vote?" Thinking selfishly and ignoring the moral element, if you are a man on the street, giving women the right to vote simply means your voting power is halved. This is purely a bad thing. But if you are a legislator, it is unclear whether women voting is necessarily a bad thing. Indeed with women voting, this might be a good thing for some legislators, who can now get a bigger proportion of votes. I'm looking for an answer on why 1971 succeeded - why didn't it happen in 1965 or 1995. What happened that made the 1971 attempt successful? 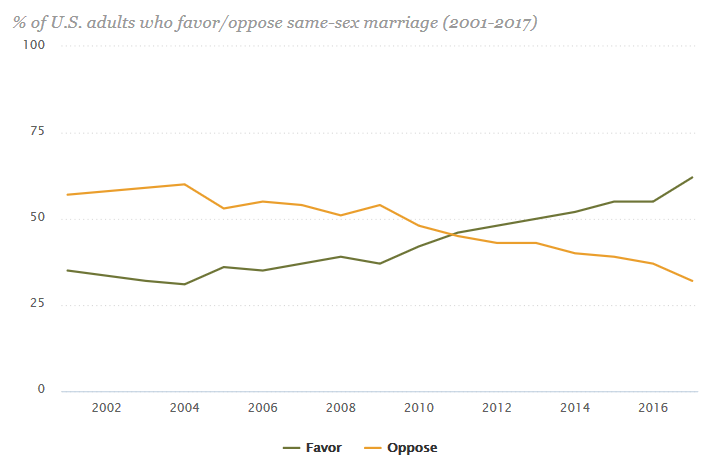 I think it was less "something special or dramatic happened circa 1971" than "gradual evolution of social attitudes" (not unlike what we see in various countries today with gay marriage). 1959 national referendum: Rejected 66.9% to 33.1%. Introduction of Women's Suffrage at the Cantonal Level. 1959: Vaud and Neuchâtel. 1960: Geneva. 1966: Basel-Stadt. 1968: Basel-Landschaft. 1969: Ticino. 1970: Valais, Lucerne, Zurich. 1971: Aargau, Fribourg, Schaffhausen and Zug. Feb 1971: National referendum passes 65.7% - 34.3%. The Appenzells only gave women the right to vote (cantonal) in 1989 and 1990. Well the "Reason" to this was the Swiss vote system. To make a change in the Swiss constitution, a "vote initiative" has to be submitted. If the prospective vote initiative fulfills some conditions and other things, it gets to be an initiative. This initiative goes out and then the people which are allow can vote about it. They can accept or decline it. If they accept the changes will be made, if not, they won't be made. Until 7 Feb. 1971, only Swiss men could vote about such an initiative. So simply the Swiss men were the reason why women couldn't vote in Switzerland until 1971. Before the vote in 1971 it was likely that the vote could end in a NO, so the opponent's of this initiative tried to stop it. Very successfully as we know today. But in 1971 it was more likely that the initiative would be accepted, so the opponent's stepped back from fighting against it (so that they wouldn't lose potential voters). Due to this, the initiative was accepted more easily, but please be aware this was for the "country" level. The catons Appenzell Ausserrhoden, Appenzell Innerrhoden, Glarus, Obwalden, Schwyz, St. Gallen, Thurgau, Uri still declined to grant woman the right to vote in their Cantons. Not the answer you're looking for? Browse other questions tagged political-history switzerland women voting or ask your own question. Did Tirol annex land (right flank of Val d'Avigna) from Switzerland between 1859 and 1869? Did German citizens need a visa to enter Switzerland in 1945?